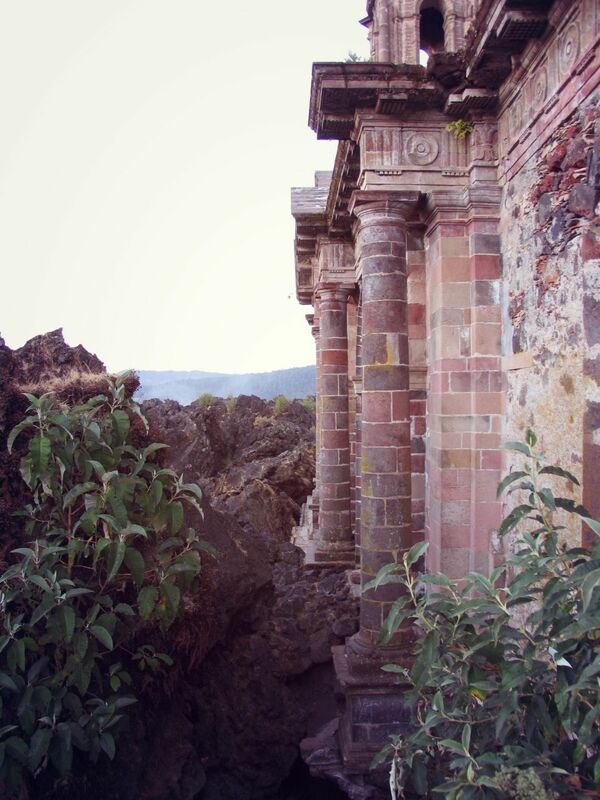 Located in the state of Michoacán Mexico, this church is the only remaining building left from the village of San Juan Parangaricutiro. 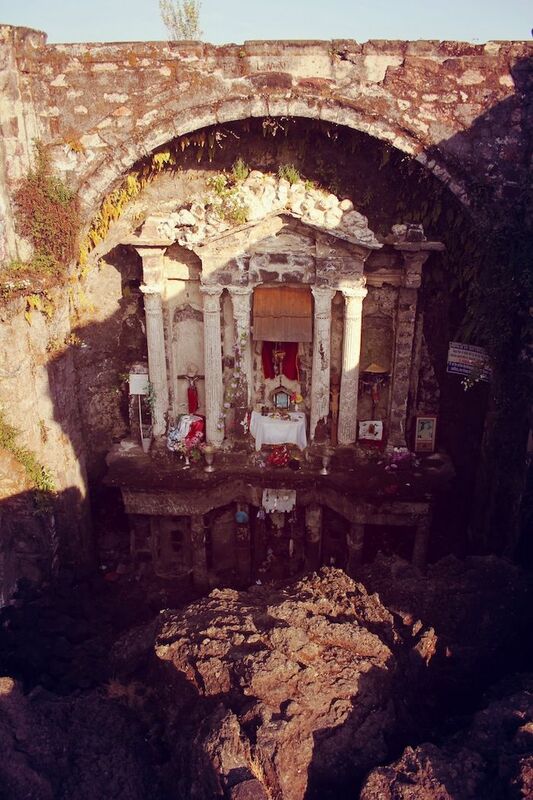 On February 20, 1943, a volcano began to erupt, slowly consuming two villages in lava and ash. 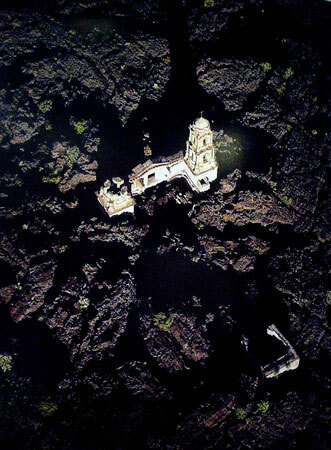 It took almost a year for the lava to reach and melt the rocks around this small church. 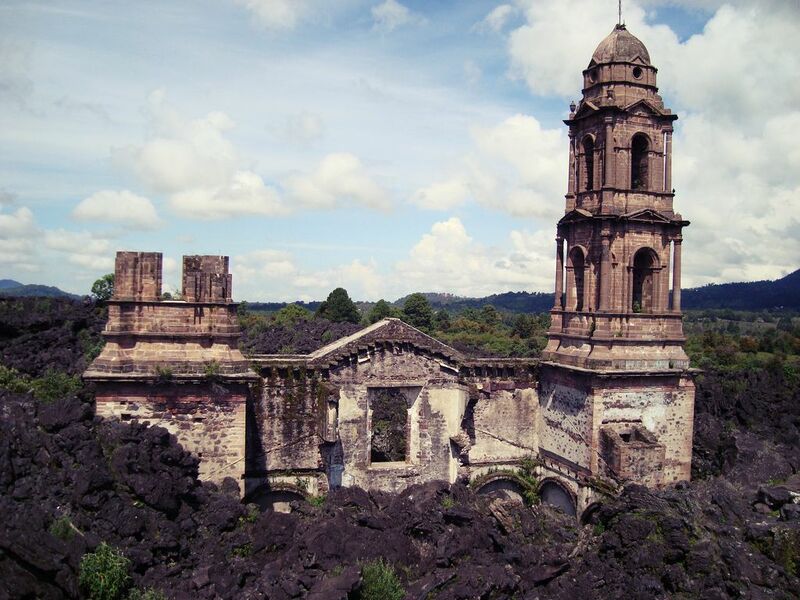 The Paricutin volcano continued to erupt for another eight years, but the small church withstood it all. Surprisingly, the lava left the tower and altar untouched. Miraculously, no one died from the Parícutin volcano as all residents were evacuated before the villages were covered in lava. 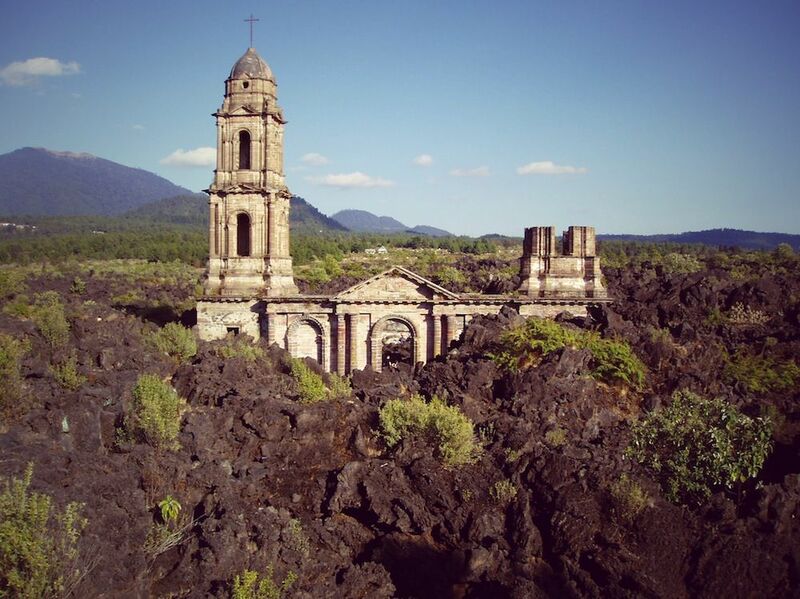 Today, the church of San Juan Parangaricutiro still stands halfway buried in solidified lava rock. It is all that remains of the village. 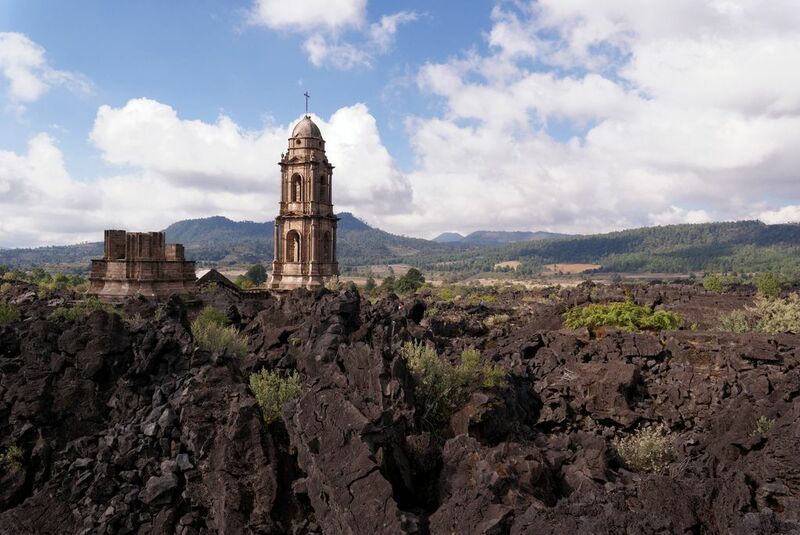 The church that survived the catastrophe is now the destination of an annual pilgrimage by worshippers who believe God saved the church from the volcano.